70% of Americans do not get the recommended daily dose of magnesium. And magnesium is crucial for more than 300 essential chemical reactions in the body. 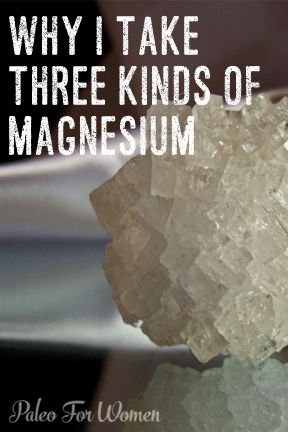 Without magnesium, these vital reactions simply don’t take place. Without magnesium, systems malfunction all over the map, from bone growth to adrenal health to the ability to fall asleep at night. Magnesium is also, and perhaps most importantly, one of the primary nutrients involved in the regulation of cellular stress and activity. And when I say stress here, I do mean stress. Any sort of cellular activity is a stress of sorts, because it upregulates activity and requires energy and resources. Magnesium’s role is simple: it opens channels on cell membranes. When a muscle fiber, for example, needs to tense up and become active, magnesium will open the membrane and help usher in calcium, which helps make it tense. Then, when the period of stress is over and the muscle can relax, magnesium opens up the cell membrane to usher the calcium out of the cell again. The problem for most people is that they have enough magnesium to usher calcium into the cell, but not enough to usher the calcium out. This leaves them in a chronically up-regulated state, leaving muscles tense, nerves firing, and neurons on high alert. This is why magnesium deficiency is associated with muscle tension, with headaches, with poor adrenal health, and with anxiety. Without magnesium, the body simply cannot calm down. A lot of paleo people know about magnesium already! So a lot of paleo advocates and dieters know about the importance of magnesium already. Most books and websites recommend magnesium. Usually, you’ll find a recommendation for a product called Natural Calm (at Amazon here), which I also recommend. It’s a great form of magnesium, because it’s in the form of magnesium citrate (and in a fun, fizzy drink form). Magnesium citrate is highly bioavailable – the body can absorb it reasonably well. Some people find that magnesium citrate gives them some digestive issues, however, because magnesium has a laxative effect. For these people, magnesium glycinate (at Amazon here) is often recommended by paleo and other natural health guturs, because it tends to be easier on the digestive tract. Even though I was once saved by the miracle of magnesium, I have since discovered that I can support my body even better. Nowadays, I know that there are many different forms of magnesium. Different forms are better suited to different organs and systems in the body. I struggle with a lot of issues. I once took a pharmaceutical drug (for my acne) which wreaked havoc on my kidneys. Since then, I have had trouble with my heart beating smoothly, with my stress response staying level, with insomnia, and with anxiety. So these days, I still take magnesium citrate about once a week, for the sake of my adrenals. I also just take it after a stressful event or when I feel like I need my adrenal glands needs to calm down. Natural Calm in the form of magnesium citrate is a great all-purpose, adrenal-supportive magnesium supplement. I also take a small dose of magnesium taurate once a week. My heart is in better shape than it used to be, but I still want to provide it with the best possible support possible. When I first began struggle with heart palpitations and a racing heart, my doctor recommended magnesium taurate. Magnesium taurate is an excellent form of magnesium for the heart because the heart loves and needs taurate to work well. Magnesium, when chelated to taurate, like it is in this supplement, goes right to the heart, more efficiently than other forms of magnesium. I take this form of magneisum taurate once a week. Finally, and most importantly, I discovered magnesium threonate. Magnesium threonate is the most absorbable form of magnesium to the brain. It passes the blood brain barrier and acts on neurons with an efficiency paralleled by no other form of magnesium. Magnesium threonate has a potent effect on my insomnia, as well as on my anxiety and my racing thoughts. It’s my favorite supplement of all the ones in my cabinet. I take a very small dose (I break open a caplet and pinch a bit off the top) of magnesium threonate nightly. This is the form that I take. So find the magnesium that works best for you! If you struggle with mental health or with sleep like I do, then magnesium threonate may be best for you. If you struggle with heart health, then you may want to consider magnesium taurate. If you feel stressed out or have a lot of muscle tension, then magnesium citrate will probably work quite well. And if you struggle with gut problems while on magnesium, give magnesium glycinate a try. OR, if you have any other recommendations, I’d love to hear them! I really do love and swear by my different forms of magnesium. Of course – I readily admit that I may placebo effect my way into being specially affected by them. But I also know that the medical literature describes these forms of magnesium as being particularly complementary and absorable by these different systems — for the magnesium taurate and the magnesium threonate especially. This is my magnesium regimen and I love it! How do you get your magnesium? I’ve been trying magnesium maleate in the mornings, actually, because I take Theanine Serene (which also includes a magnesium chelate, though it does not say which one) in the evenings. I will also sometimes spray magnesium oil on my legs or soak in an Epsom salts bath. Natural Calm, no matter how small the dose, will send me running to the bathroom. But my panic attacks have been far fewer and much less severe. This is a great post. I’m going to try some of the magnesium supplements you’ve mentioned here. Currently, I use a topical magnesium spray from Ancient Minerals. It contains Magnesium Chloride. After I shower, I spray some on my forearms and on my knees. (Some people use it for underarm odor control, but it’s too itchy there for me.) I use it for calmness and on my knees since I injured them. I do have to say that after taking a major tumble this past March hiking on a jetty that was out a ways in the ocean, I banged up my left knee pretty bad. The Magnesium Oil (it’s really Magnesium Chloride in Water but they call it “oil”) really seemed to speed up the healing. Thanks for the in depth breakdown of magnesium! I’ve been taking CALM but not really noticing any benefit, even though I am deficient in magnesium. I also have heart issues and have had some anxiety in past. I’m considering the threonate now, but curious why you only pinch off the top? Would it be safe for me to take just that one supplement of magnesium daily? Thanks! I just notice that that’s all I need to improve my sleep. More won’t hurt you! Just curious why you take only a small pinch of mg threonate. How did you discover that’s all you need? Well, this is interesting. Since I wrote this post I have been supplementing with vitamin D more regularly and I can tolerate a higher dose of mg..but before it acted as an immunosuppressant for me. this was about as much as I could handle. But still i can tell because of the way it impacts my sleep. I feel sleepy after biting open a capsule and having about 1/4 of it. I’ve been taking only mg bisglycinate daily but recently tried the mg threonate before going to sleep, and all I can say is WOW. I typically sleep through the night, with no dreams that I can remember, but tend to wake a little earlier than I’d like. Well, the next morning, I was surprised to wake up to my alarm instead and decided to close my eyes again for five minutes (as usual)…..woke up with a start an HOUR later (luckily!) I also recalled the dreams I’d had, and felt like I’d gotten a more ‘restorative’ sleep, that is, I felt more rested throughout the morning. Thanks for highlighting the different qualities of all the varying forms of mg! I was just reading something on ‘easy-immune-health.com’ about magnesium and vitamin D: “magnesium is used up to convert vitamin D into it’s active form in the blood’. This explains your recent finding. I really like the Integrative Therapeutics Tri-Magnesium which combines forms. Is there any reason we should not be taking different forms together like this? Do you know of any other brands that combine forms (particularly the Threonate) ? Like Heather I take magnesium malate, compared to others I tried I need the least amount of this to work (only 200mg) and there’s no change in bathroom visits. When I am in a lot of pain I use Epsom salt baths, but it only works a little for me (but you need every little bit sometimes). Also, I eat about 2 bananas a day. When I go without magnesium and/or the bananas for two days I get cramps. I didn’t know different magnesium versions could work on different issues, so this is an interesting read. Oh and I take it at least half a day away from iron supplements. I notice you take them only once per week. Is it not good to take them on a daily basis? Hi, I have had gastric bypass surgery and I wondering if any of these supplements would work of me as far as absorption goes? Like, for instance extend release capsules don’t absorb well for me anymore….. 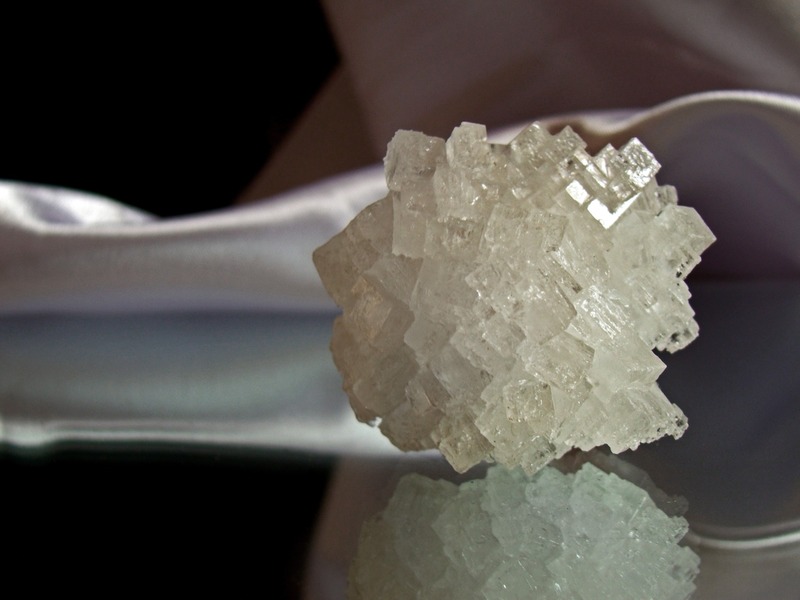 Between magnesium chloride and magnesium glycinate, which form is better for digestive health and detoxing? Hi, just listened to you talk about Threonate this morning on the Well Fed Women Podcast. Is it safe to take all these different forms at one time (dumb Q I’m sure lol)? I find that I could benefit from all four above. Threonate for sleep/depression (I just lost my father this last month), taurate for heart (does this one help with lowering LDL cholesterol too? ), citrate for muscle tension (i have muscle and sinus headaches), and always trying to heal the gut (so glycinate). Is there one that you recommend for sinuses? I have sinusitis (had a balloon sinuplasty) – does glycinate or malate do the trick for a clearer head? It seems like I need every magnesium on the market! LOL. I have low Vit D level is the comment about immunosuppressant saying Magnesium becomes immunosuppressant if you are Vit D Deficient? I want to up my Mag as I am deficient in that too and Vit D needs it to be able to be absorbed. Is it safe to take/Spray/soak in Mag in this case? I have fibromyalgia, ptsd, daily anxiety, adult adhd and low thyroid. Which magnesium supplements would you recommend for me? From reading all of the above I have some idea but would love some veteran input!